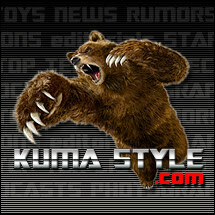 Toy Nippon: BBTS News: Star Wars, Transformers, Avengers, Funko Pop!, TMNT, The Walking Dead, Batman & More! 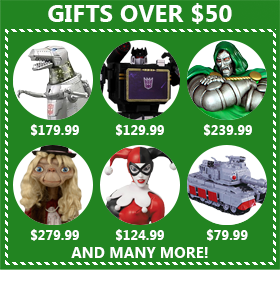 BBTS News: Star Wars, Transformers, Avengers, Funko Pop!, TMNT, The Walking Dead, Batman & More! 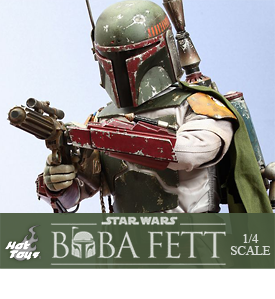 The highly-accurate quarter-scale collectible figure is specially crafted based on the image of Boba Fett in Star Wars: Episode VI Return of the Jedi featuring finely sculpted Boba Fett helmet and armor, his signature jetpack, highly detailed weapons, accessories, and a specially designed sail barge figure stand all with skillfully-applied distressed effects. This statue uses Bumblebee's appearance in Dark of the Moon and stands 22" tall. Digitally scanned from the original Mattel Secret Wars figures and reproduced in 12” scale, no detail has been overlooked. Roto and injection molded and made of durable plastics, this fully-articulated jumbo figure includes a faithfully re-produced lenticular shield. Hobgoblin comes with his signature glider with an impressive 15 inch wingspan. Iron Man is available for pre-orders in the form of this 1/9 scale kit. It shows him in his Mark XLII armor suit within the Hall of Armor. One of the best and most gruesome zombie television series to ever grace a TV network has been not only miniaturized, but stylized, too! The Walking Dead Mystery Minis Vinyl Mini-Figure Display Box features some of your favorite characters and zombies from The Walking Dead TV series on AMC - stylized and measuring approximately 2 1/2-inches tall. Don't miss out on these amazing mini-figures. This Display Box case contains 24 individually packaged blind box figures. Digitally sculpted by master artisans using photographic reference directly from the set, no detail has been overlooked. 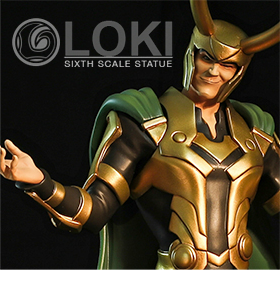 This limited edition, individually numbered statue is rendered in the highest quality polystone and hand-painted; a true piece of quality craftsmanship. Matching certificate of authenticity included. We have received preliminary information about the new Power Rangers Dino Charge merchandise. 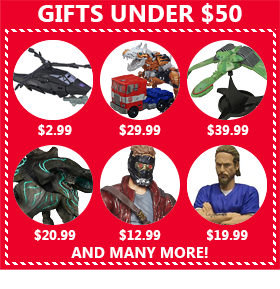 This new series includes new Ranger figures, Battle Gear, Dino Cycles, Zords, Megazords and more. This collectible is based on the 3-D files from Arkham Knight and measures 7" long by 2" wide. Intricately crafted and cast in polystone and features working LED effects modeled to mimic the Batcave design and technology! This large yellow and black robot changes into a train carrier as well as a large locomotive, and can also merge with other Ressha units. The second Pop! series from the megapopular movie includes Coronation and Young versions of Elsa and Anna, and Summer Olaf to boot - each is listed at $9.99. 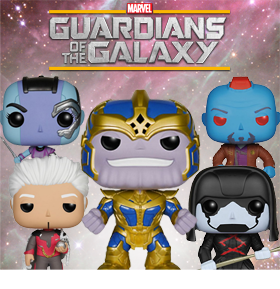 Funko is also releasing a line of Mystery Minis from the film, with a Case of 12 random figures at $69.99 and random singles at $6.99 each. Finally, Department 56 has an Elsa's Light-up Ice Palace at 219.99, with figurines of the major characters at #23.99 - $29.99 each. This 11.5" statue shows the Penguin in a brightly-colored suit with umbrella in hand. A wide variety of new expansion sets has been listed for pre-order for this popular game. They range from dice packs at $9.99 each to the Victory Class Star Destroyer and the Assault Frigate Mark II, each of which is listed at $39.99. The newest bunch of import items includes new Sailor Moon items, plus a variety of other figures such as One Piece, Ultraman, Kikaider and more. Jack Burton is back in the form of a new Pop! figure. Jack, Gracie, Lo Pan and his three enforcers are all up for pre-orders. Fans of the popular anime will love this new piece. It shows the head of the Colossal Titan with muscle detail and a removable skull-cap for getting at the goodies inside. Each of these mugs changes its image when filled with a hot beverage. You can choose from Captain America, Daredevil, Punisher, Loki, Hulk, Spider-Man, Villains and Heroes. This figure from Zone of the Enders stands about 4" tall when completed and includes thrusters, a spear and more. The first releases from the upcoming cartoon have arrived. We have limited quantities of the singles, sets and cases from the first wave of each. Series 6 includes Rick Grimes, Abraham Ford, Hershel Greene, Carol Peletier, Bungee Walker and The Governor with long coat. This set includes Soundwave with copper tape door trim, Ravage, Laserbeak, and all of their weapons and accessories. This metallic version of Hexatron includes a new head sculpt, blasters and chest wings. 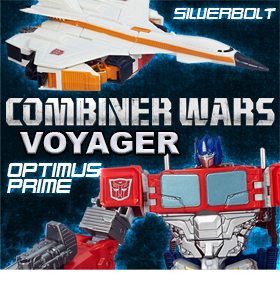 Roar is a transforming dinosaur that is in the Voyager Class size range. He transforms from robot into stegosaurus and stands around 7.6" tall in robot mode. This figure changes from a red, purple and white robot into a space cruiser. Bandai Japan has released a new figure that combines the character of Darth Vader with the style of a samurai warrior. He comes with lightsabers extended and not, as well as alternate hands. 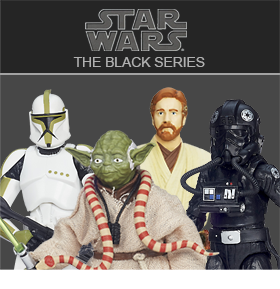 We currently have singles available of all three figures in this wave. Koba with Machine Gun and Luca are priced at $18.99 each, while Caesar with Shotgun is priced at $17.99. The hero and main character of this series has been released in the form of this new 10" figure. It comes with an alternate arm, pistol and rifle. 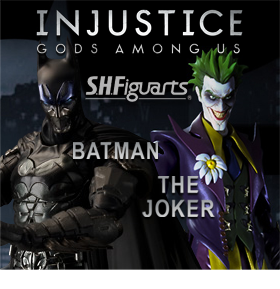 This set includes zombiefied versions of Kingpin, Morbius, Sabretooth and Doctor Doom. They will come with alternate parts and accessories. These new little vinyl figures by The Loyal Subjects come randomly packed in a Box of 16. The figures include the four Turtles, Splinter, Shredder and more, and are priced at $207.99 for a Box of 16 random figures, or $12.99 each. This versatile figure comes with alternate heads so you can display him in a variety of styles. The reissue of this popular figure has arrived at our warehouse. It stands almost 6" tall and comes with alternate hand and face parts, weapons shot effects, a rubble stand and more. This Alien figure comes with alternate hands, a facehugger and an egg.